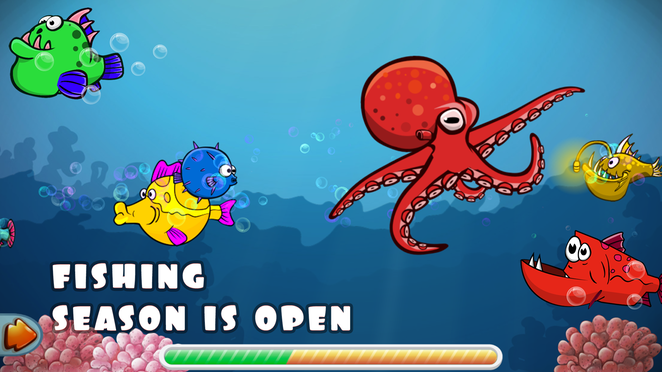 It is time for some exciting fishing! 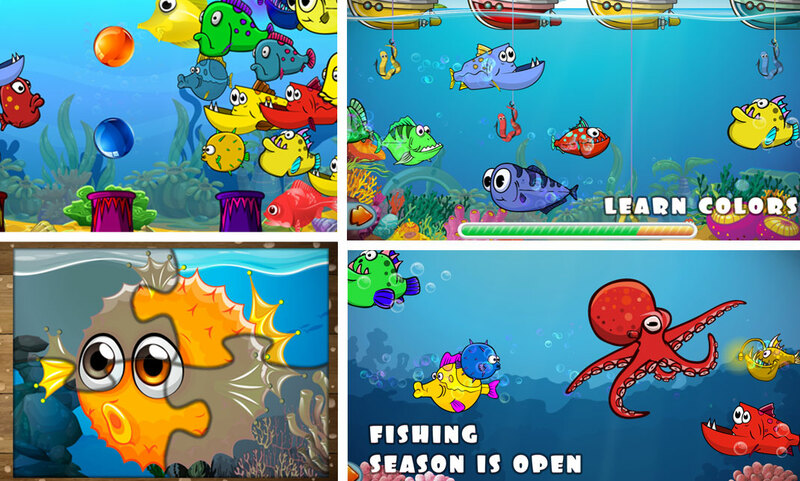 Young fishermen and their assistants, be prepared to have fun adventures with funny undersea creatures! 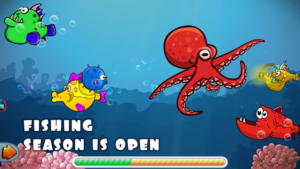 It is easy and funny to become a fishermen – just catch all the fish, do not let tricky octopuses and ubiquitous submarines to stop you from fishing! A simple and exciting gameplay will keep your baby entertained for hours. Do you doubt? Download this app and see for yourself! 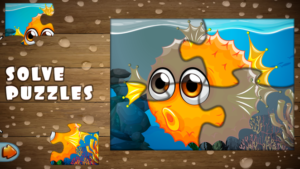 • Simple fishing includes 10 levels with simple fishing and after each level you get a bonus: puzzle game. Every next level is harder than the previous one. 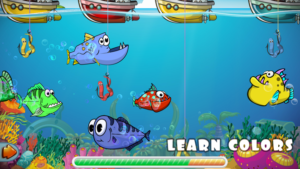 • Advanced fishing includes 10 levels with fishing on a hook and after each level you get a bonus: underwater artillery game. Every next level is harder than the previous one. 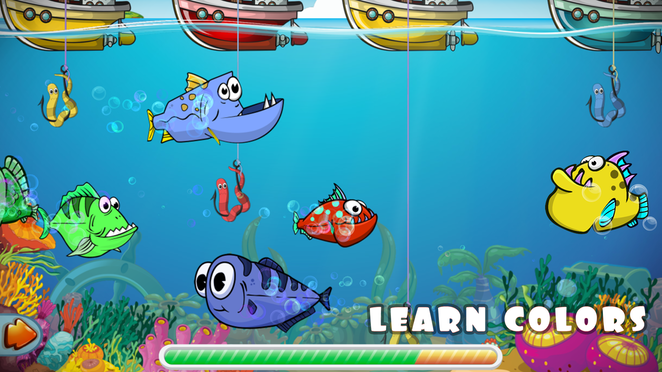 • The “learn colors” advanced fishing includes 10 levels with fishing on a hook of a certain color and after each level you get a bonus: coloring book game. Every next level is harder than the previous one. 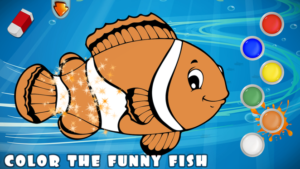 With our app your child will learn about different types of fish, understand the basics of fishing, happily do simple puzzles (from 2 to 9 pieces) with funny fish, play underwater artillery, color underwater inhabitants in a simple and fun coloring book, as well as learn basic colors while playing. 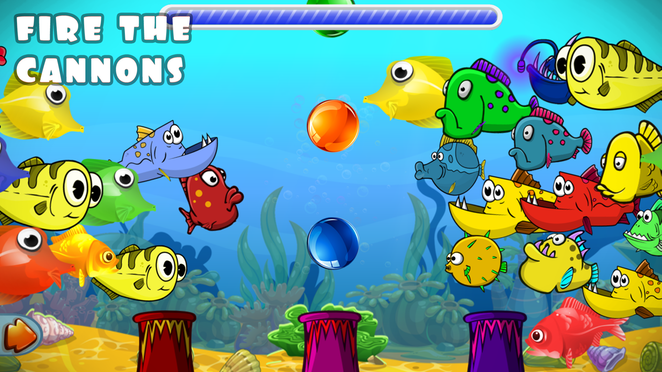 “Fishing for kids” is a special game with funny and animated underwater inhabitants and hilarious sound effects, this app will keep entertained even a small child for hours! 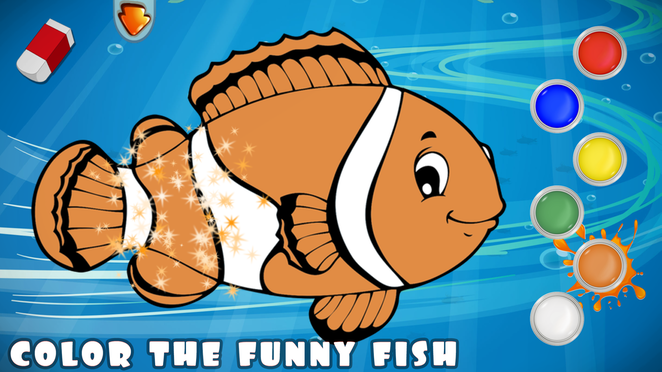 This app is fun to play both children and parents with children! 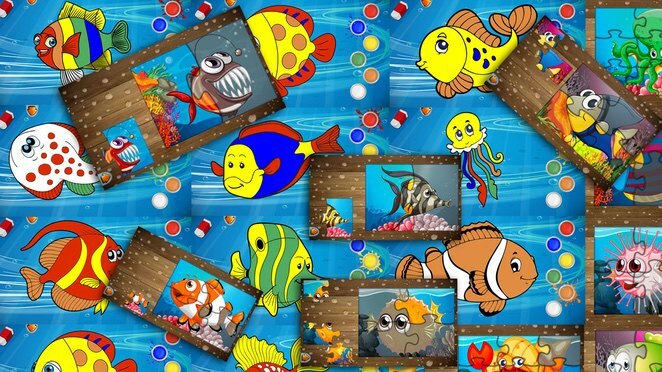 • All children will enjoy a simple coloring book! “Fishing for kids” promotes the development of attention, creativity, fine motor skills, ingenuity and imagination of your child, as well as introduces him/her to the basic colors in a simple, fun and exciting way. And most important – it will give joy and pleasure from playing the app!! Thank you for installing our app! If you enjoy our app, please take a moment to rate it in the App Store. 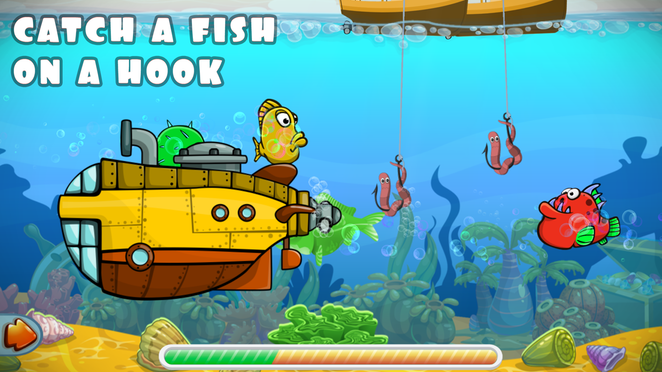 It will help us create even more great apps for your child. If you have any questions or comments, please do not hesitate to contact us via e-mail at support@kidsgames.center before you leave a negative review. Developers cannot respond to negative reviews in the App Store. We are always open to talk and we will be glad to help you solve any problem that may occur! Some of the content is available in the free version of the app. You need to make an in-app purchase to get the full version.